For weary travellers who have seen many a hotel room, Palacina is a breath of fresh air. Offering all the luxuries of a 5 Star hotel, with special personalised service, a relaxed atmosphere and great attention to detail. As a family owned and run hotel the core emphasis is on making guests feel at home during their stay in Nairobi in an atmosphere of understated elegance and warm hospitality. 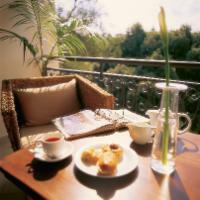 The Suites are Nairobi’s premier hotel room accommodation, which are stylishly decorated and thoughtfully laid out. The lobby serves as a living room complete with lounging areas, reading areas, a spacious veranda, a chic bar and a hotel reception all decorated in soothing neutral tones with the emphasis on comfort and style. Breakfast is served from the open farm house kitchen, so whether you prefer to sit in the sunny breakfast room, read a newspaper at the bar or enjoy your espresso in the lobby; it is just a matter of choosing, as Palacina is all about comfort and flexibility, not rules. Add to this the award winning Moonflower Restaurant, The Conference Centre, and the multitude of facilities on offer Palacina is the ideal venue for your stay in Nairobi. 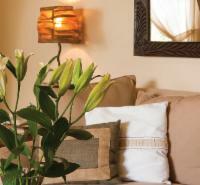 Spa: The spa room offers a range of spa treatments and massages by our highly trained and professional beauty therapist. A place to stimulate your senses and allow for complete relaxation of body and mind. 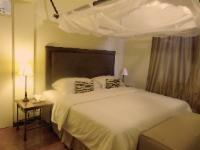 Palacina The Suites is 0.7km from the centre of Kileleshwa , the nearest airport 5.1km (Wilson Airport).